Organic blueberries were finally on sale this week, so I snatched up a bunch of containers and have been eating them non-stop. Straight from the container of course, but I've also been incorporating them into a lot of my meals. 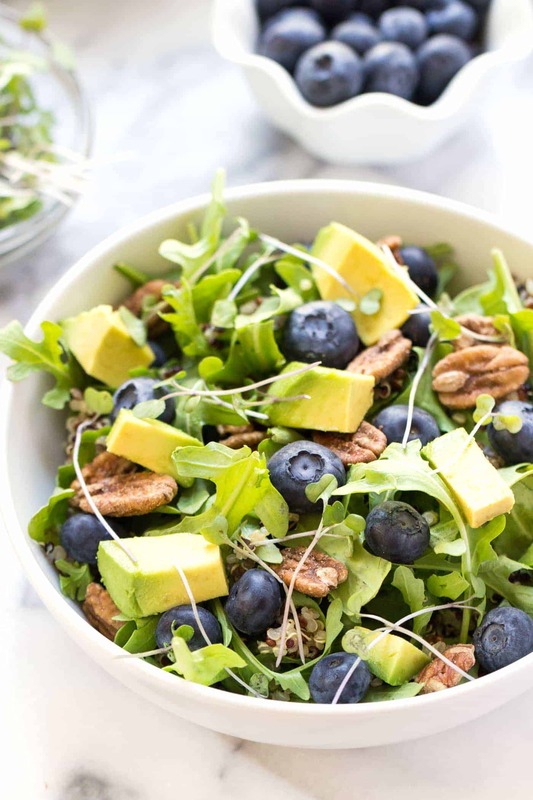 I shared a blueberry smoothie bowl I made the other morning on Instagram (which was actually a version of my blueberry bombshell smoothie) and they're even making their way into my salads. 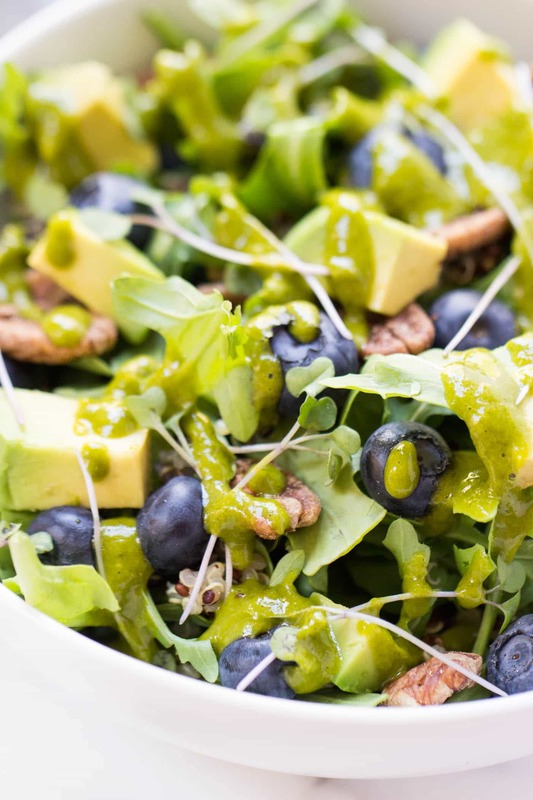 This quinoa power salad being my best savory blueberry creation yet. 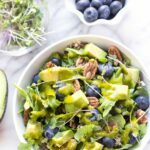 This salad is so full of healthy, detoxifying, anti-inflammatory foods is kind of outrageous (and by outrageous I mean outrageously awesome). For starers we have the blueberries…which, nutritionally speaking, are absolute rockstars. They're packed with antioxidants, are low in sugar, have tons of vitamins and minerals, are high in fiber, and they're great for you brain, your heart and your skin. Then we have arugula which again is high in antioxidants and fiber. There's also the quinoa which is high in plant-based protein and trace minerals like manganese and copper. 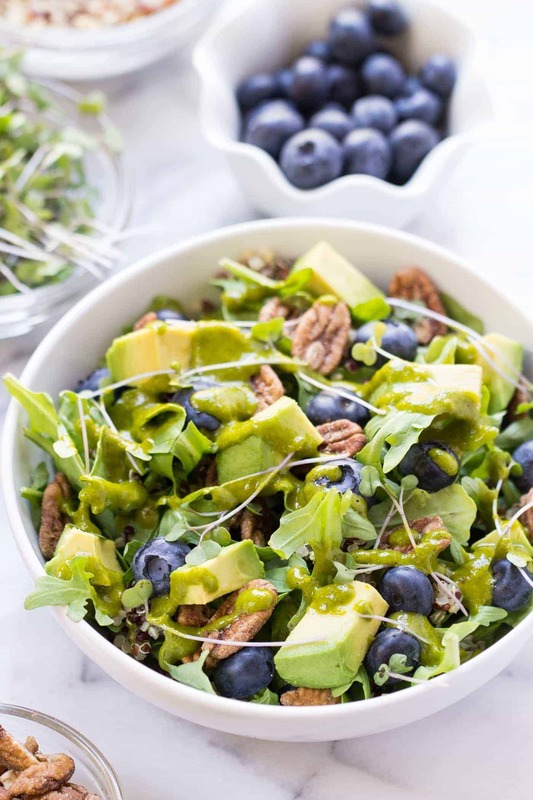 Plus there's also raw pecans and avocado both of which provide a great boost of healthy fats which help to keep you satiated and full. 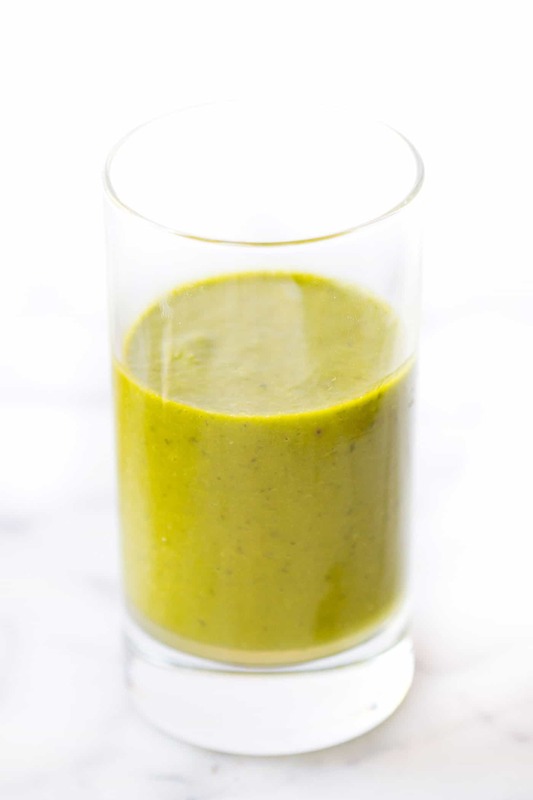 Finally there's the dressing: a lemon-basil vinaigrette which is equally full of tummy-friendly ingredients. The dressing starts with a base of high quality, organic olive oil. This is the foundation of the vinaigrette and adds some more healthy fats to the salad. …along with fresh basil, stone ground mustard and a touch of maple syrup. It all just gets blended up in your blender and you're done. Pairs so nicely with the rest of the salad! 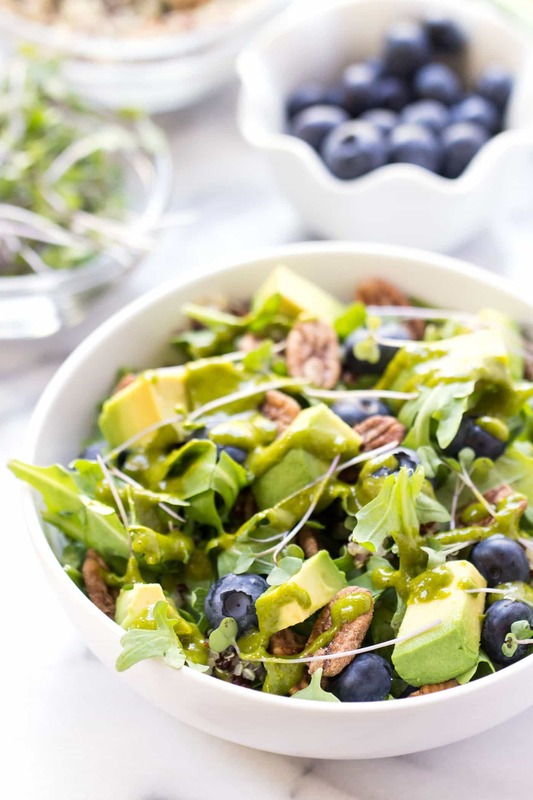 The tanginess from the dressing, complements the sweetness of the blueberries perfectly. 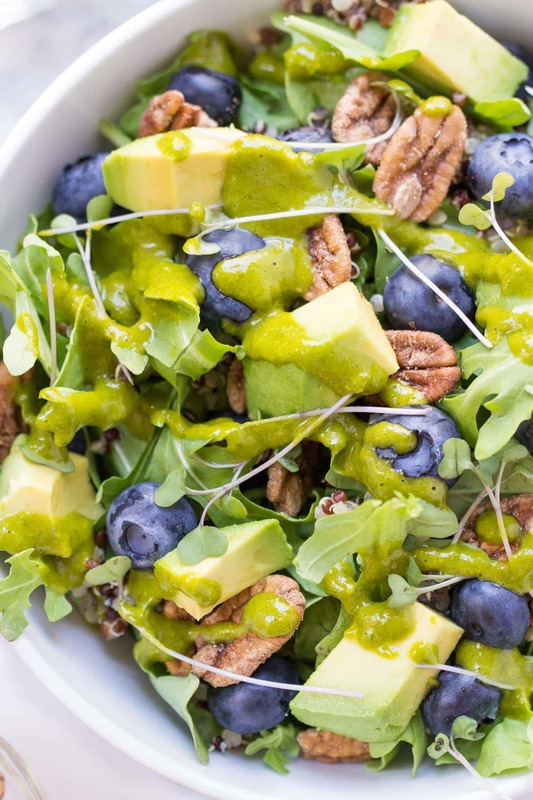 And the nutty pecans and buttery avocado are balanced with the spicy arugula and light microgreens. If you were able to bottle up the taste of summer and put it into a salad bowl, this quinoa power salad would be it. Each bite is absolutely delightful and really brightens up your entire meal. What summer produce are you most excited about? Share your favorites in the comments below and I'll try to sneak them into some of my upcoming recipes! For me it's: cherries, strawberries, peaches and alllllll the veggies! This is a fantastic salad! I love this one. I would also love to feature it in our website Greenthickies.com. I will not be posting the actual recipe, but only one image, title, a small quote and link directly back to your post. 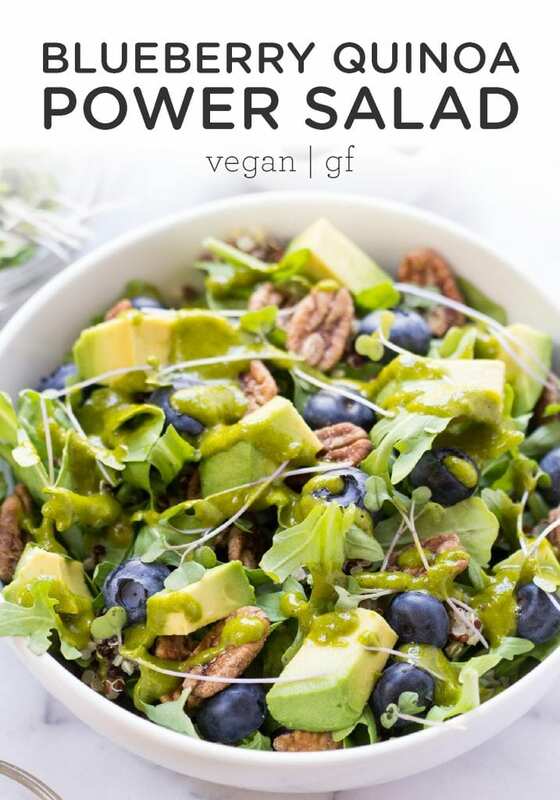 Your Blueberry Quinoa Power Salad was delicious. Your dad sent me your blog-site. It is so fun to connect with another Rimmer. Your U tube videos are great too. You have amazing recipes! I am excited to try all of them!! After 30 years of suffering I just got my allergy testing back, and your website is going to be a godsend! Any recommendations on another spice instead of garlic? I am sad to have a garlic allergy!! This looks great. I will definitely try it! Can’t wait to hear what you think – it’s one of my favorites! Any problem for using frozen blueberries? I love putting blueberries (locally picked!!) in salads! This is a great combination. And the vinaigrette is so fresh and delicious with the basil. This is a keeper! Glad you enjoyed it! I’m loving the sweet addition to salads, so definitely doing this more often! I’m also so happy to see nutrition facts posted! Love your recipes. Thank you. The diabetic in our family needs the serving size and carb info. I am happy that you are now posting Nutrition Facts. That is very helpful information. Thank you. This sounds and looks delicious. Can’t wait to try it.